There can be many reasons why you would refuse to board a cat at your cattery. The owners of the cat will not be happy and you will have to deal with them. They could feel aggrieved and vindictive, but providing your reasons are justified any reasonable cat owner will see your point of view and probably commend you for it. Running a cat boarding business is a very serious occupation. You are responsible for the health and welfare of all of the cats in your care. You are looking after someone's precious pet and getting paid for your cat boarding service. The last thing you want to do is turn custom away but there are occasions when you must. The most important reason will be if a cat has not been vaccinated against feline enteritis and cat flu. These vaccinations are essential and require an annual booster. Some owners think that if the cat has been vaccinated once, that is it for life, but this is not so. An annual booster is needed and your cat boarding licence will stipulate this as a condition of boarding. It is essential to make this clear to the customer at the time of booking. Problems often arise when a person who has always left their cat/cats at home with a friend or neighbour popping in to feed twice a day, suddenly finds that the person they rely on is off on holiday at the same time. They panic and try to book their cat/cats into the nearest cattery. You really must ask about injections and refuse to take the cat/cats without the certificates. If you board un-neutered tom cats they will make your cattery smell. Most cats these days are neutered unless they are used for breeding. The smell of the urine from an un-neutered cat is pungent, they will sometimes spray the walls of the chalet/pen and it will take a lot of disinfectant to get rid of the smell. The urine of even quite young tom cats smells and if you board a young cat before it has been neutered you will need to be aware of the problem, you may prefer not to board them. If you have boarded a cat in the past and been worried by its behaviour you might refuse to board it again. 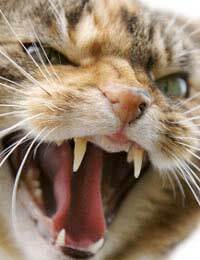 Perhaps the cat has been aggressive and you have found it difficult to clean its pen and feed it, maybe a cat has refused to eat and you have been stressed by this. Some catteries refuse to take cats on medication because they find it difficult to administer, but you might find you are turning away a lot of clients, as more and more cats seem to have medication these days. There are a number of behavioural problems which may make you decide not to board an animal. Ultimately the choice is yours. Sometimes you will encounter owners who are so difficult to deal with that you will prefer them to go elsewhere. Some owners will expect you to open out of your hours to accommodate them, if their flight lands at nine in the evening they might even ask you to let them collect their cat at eleven o'clock at night. You need to be firm but fair, if you can, for instance, let them collect half an hour after your closing time that wouldn't seem unreasonable, but be warned 'the thin edge of the wedge'. If you have customers who's cheque bounces you might like to think about a continued business relationship. If a cheque is returned to you unpaid you will have the contact address and telephone numbers, but there is no guarantee that you will get your money once the cat has gone home. On the whole there will not be many cats that you refuse to board, but be aware of any potential problems and avoid them if possible. I have a classic cat like this! She refuses to come out of her carrier while I'm there - I leave the carrier in a large cage that my local cattery set up especially. She's allowed out in the cage whenever she wants - they just put food in there for her and clean up around her...she tends to be scared of the mop so won't go near while there doing that! Not ideal but it works for Bess and us!